FOX has released the synopsis for the January 26 episode of Brooklyn Nine-Nine, "The Cruise". Niecy Nash (Scream Queens) guest stars in the episode. Jake and Amy are excited to go on their first real vacation together, but Amy's perfectly planned cruise ship itinerary is thwarted when they discover an old adversary is on board with them. Meanwhile, Gina and Terry help Captain Holt survive a visit from his sister, Debbie (guest star Niecy Nash), and Charles and Rosa vie for the same apartment in the all-new "The Cruise" episode of BROOKLYN NINE-NINE airing Tuesday, Jan. 26 (9:00-9:30 PM ET/PT) on FOX. Jake and Amy are excited to go on their first real vacation together, but Amy's perfectly planned cruise ship itinerary is thwarted when they discover an old adversary is on board with them. 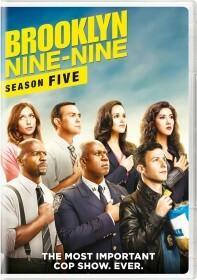 Meanwhile, Gina and Terry help Captain Holt survive a visit from his sister, Debbie (guest star Niecy Nash), and Charles and Rosa vie for the same apartment.